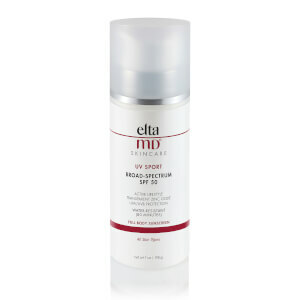 Elta MD UV Lip Balm Broad-Spectrum SPF 31 is much more than a lip balm, it's a moisturizing lip sunscreen. It uses transparent zinc oxide plus antioxidants to shield the lips from sun damage, while creamy moisturizers, including 5% hydromanil, relieve dryness and chapping. The formula is sheer and water-resistant, making it ideal for all occasions. 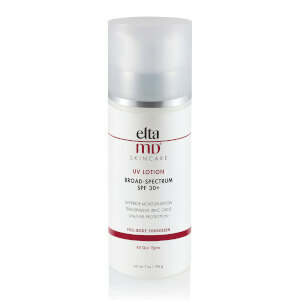 Apply to the lips before sun exposure and as often as needed. Glycerin: Provides moisture retention and is a skin conditioning agent and skin protectant. Quercetin: Antioxidant that reduces free radicals to help diminish the visible signs of aging. Thioctic acid: Antioxidant that reduces free radicals to help diminish the visible signs of aging. Hydromanil: Provides immediate and long-lasting moisturization.